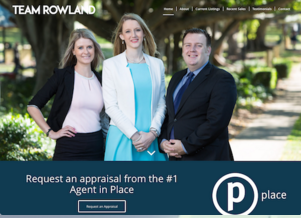 When I first started in Real Estate back in 2005, it was quite common for Agencies not to be using the online portals like realestate.com.au. Times change and it is hard to imagine now any office that can successfully operate with out relying on promoting their listings online. 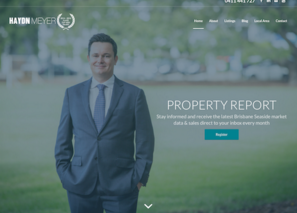 So I find it a little amusing today, when I hear real estate agents saying that they do not need to have their own personal website. Again times change and the way the modern real estate consumer utilises online tools continues to grow almost daily. People turn to the Internet when looking for new homes in today’s real estate world. A few years ago, they looked them up online on a desktop, got a map, and drove out to see a potential residence. Today, they grab a smartphone and go, because anything after that, they can look up on their phone. With the gigantic shift to a mobile internet, real estate agents need to stay in the game by increasing their web presence. If your competitors have a Website and you do not, then you suffer from a massive competitive disadvantage. Let’s face it, people would rather surf the Web to get information than pick up a phone to call their real estate agent. But once they have done their research online , that’s when they will call the real estate agents that impressed them online. There are so many agents in the market today, looking for that next listing, you need to find a way to market yourself effectively. 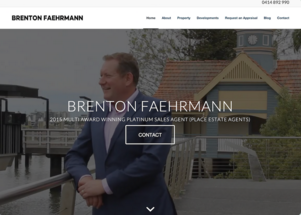 In Australia, unlike the US market where most real estate agents have their own website, there are few real estate agents that have a strong online presence. Your next client is looking online now for an agent, how can they find you if you are now visible on the search results. 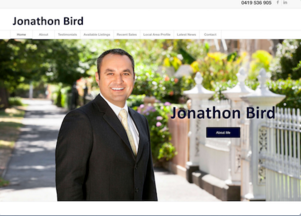 Here are a few reasons an Australian real estate agent should have their own website. Real estate is all about you as an individual agent, and how you are perceived by the public. Your own website is the perfect way to “Set yourself apart” from the competition. 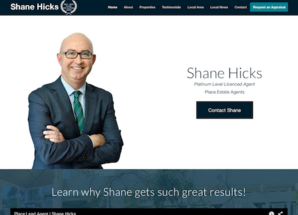 In fact there will be no other agents on the website confusing your customer, like on your agency website or realestate.com.au. Your own website lets you describe your capabilities, expertise and the services that you can provide. What a perfect place for people to learn about you and then see some of your wonderful testimonials. That’s how you start to build trust. When you have your own website, it is a custom website about you and one that is designed to bring value to your clients. Every area has a top agent, usually someone that has been there for a long time and is known by lots of people. Now you can start to break that position down and build yourself into that “Go To” position, and it can happen quickly in the online world. You can create a section where people can enter their details for things like “Request an Appraisal”. You can capture email addresses and phone numbers, and we all know how valuable they are. But your website can go every further. Today roughly 50% of all website traffic is on a mobile phone. So if someone is looking at your website on their mobile and they decide to call, a click to call function will allow them to simply push a button and they will be calling you, not your office but your mobile phone. Let your clients learn about you and your services, this is a great place for the client to get to know you and confirm they will be making the right choice by selecting you to be their real estate agent. Adding tools like mortgage calculators, loan information, home buyer tips and access to your listings and past sales will increase the value of your website. Make your website the only place they need to go. Creating a blog on your website could help you attract an audience. This would be a positive way to demonstrate your knowledge and build trust for your readers. With an active blog clients can see how you want to connect with them. Blogs are a great place to link social media sites such as LinkedIn, Facebook, YouTube and Twitter. These sites can also help build your brand and will let them know you are available to them. Plus, social media posts drive traffic back to your site where they can explore even more. You may argue that you do not need the added expense of a website since your agency supplies you with a one page profile as part of its website, but nothing could be further from the truth. What happens if you leave that agency? 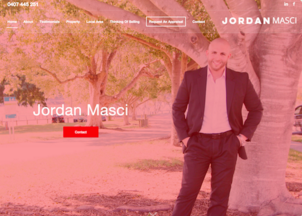 Personal branding in real estate is important. You need to set yourself apart from the competition. You don’t want to be lumped in with everyone else in the office on some generic corporate website, otherwise what’s the benefit of the prospect choosing you over another agent in your office using the very same corporate resources? There are varying reports of how many people start their search for real estate online, but it is safe to say that most people begin the process by looking around online.. As a real estate agent we need to understand the power of internet in generating the sales we need. The internet makes it easier for potential clients to find you and your properties. Having an internet presence will allow all current and potential clients to get in touch with you and the information you have at anytime and anywhere. It is also a powerful demonstration that you know the benefit of using the online world and that you will be able to help them to market their property online. Are you losing referrals because potential clients may be thinking you are new to the office or the industry, because there is no other information about you on the internet? It happens all too frequently. It’s a digital world and image is everything, even more so in reality. A robust web presence can increase your awareness, your authority, and your leads faster than any other marketing out there. In today’s society, it’s about becoming the only resource for your clients, creating your personal brand, and staying relevant to your area of expertise. Today’s most efficient real estate agents are adept with traditional marketing yet are open to embracing new forms of advertising from blogging to social media. Having your own real estate website is the best way to protect all of these areas and maximize your market position and growth of your business.